BERNAVÍ eng: Sampling and falling in love! Sampling and falling in love! 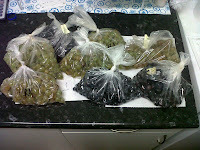 During this last week with Ruth and Gino we have been busy as we intesnsified the sampling of our vineyards. A typical question that gets asked these days in Terra Alta is "Noi com esti el Raim?" "Guys, how are the grapes?" In the cool hours of the morning I walk through the lines of grapevines and already I feel they are telling me about the 2012 wine. Although the weather was temperamental during July and August the vines speak of health and vitality. I'am convinced that a "controlled stress" in certain varieties will awake biochemical pathways that will result in fantastic quality. 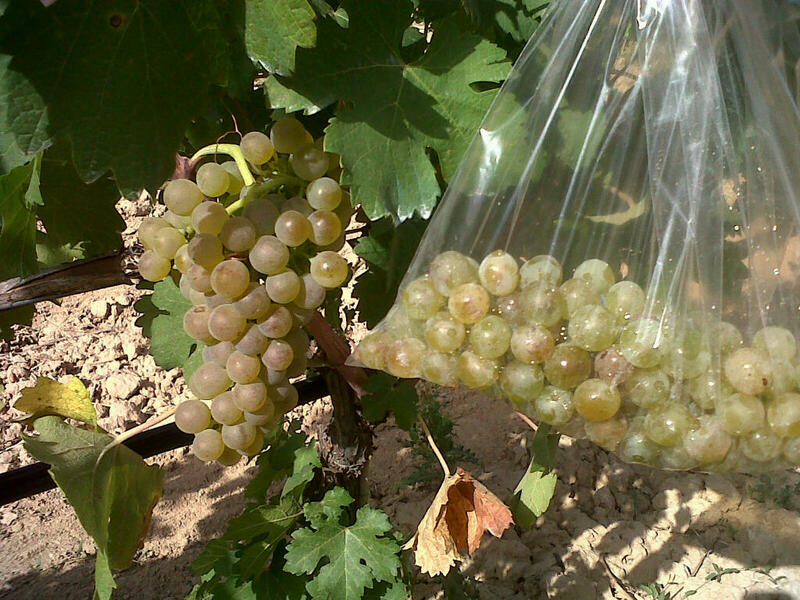 The white grapes have the look of perfect amber, to touch the grapes have great elasticity with a good concentration of sugars which is extremely important whilst still retaining the right balance of fragrance and freshness. 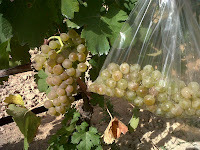 We have picked some grapes for testing and analysing and I'am convinced that our Notte Bianca 2012 will be ready this week.... I'm excited and feeling very positive! The maturation of the red grapes is different and many are still in the development stage. Most of the early varieties allow a glimpse of complexity and soon going to be begging to be picked! As each grape of our Merlot, Garnaxta Negra and Syrah gets bigger and each leaf gets greener you can see the love blooming. Our 3D3 will begin to take shape soon with the harvest of the Merlot. To give you an idea of what is happening the seeds are already quite sweet, the skins are relaxed and the grapes are still fragrant to taste. When we extract the colour the sight is spectacular especially in the Merlot and Syrah. With all our analysis that we have done I believe this could be the last sample analysis that will be done for some varieties. Read on and I will give you more detail of our Notte Bianca 2012!